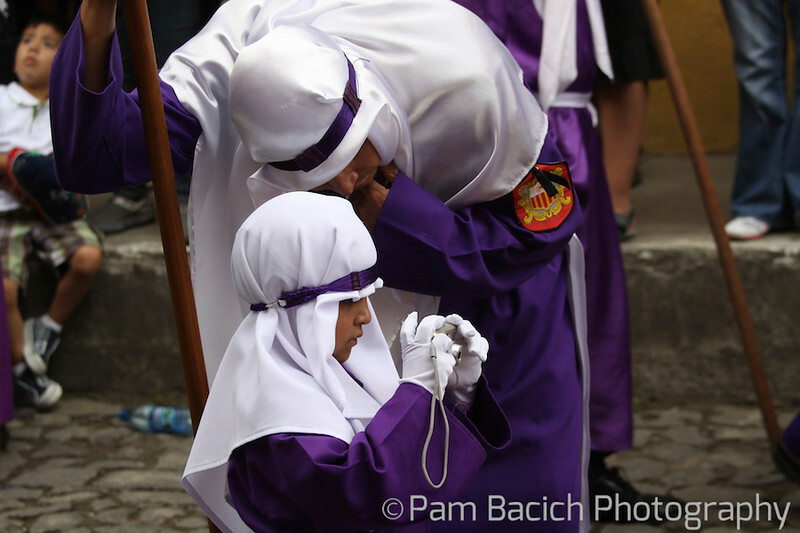 In Antiqua, Guatemala, Semana Santa is celebrated with elaborate parades and flower carpets during the week before Easter. 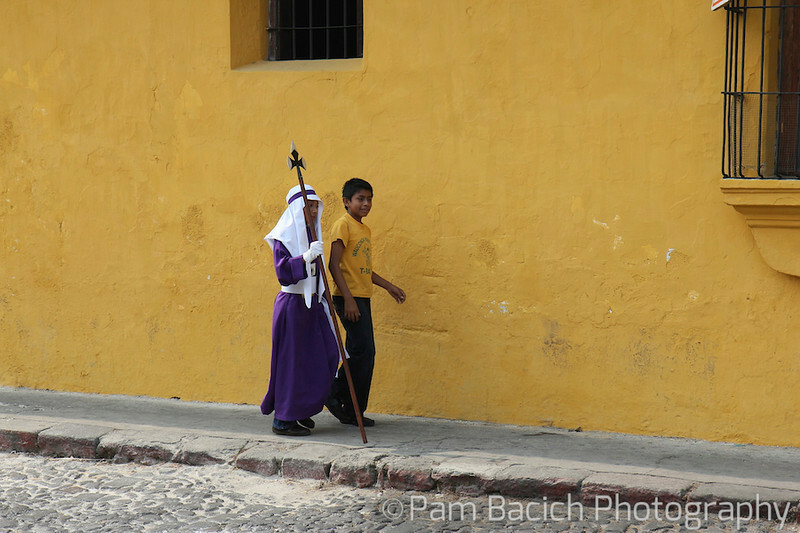 The 8 to 12 hour processions each depart from a neighborhood church. It can take 80 to 100 men to carry the impressive statues. 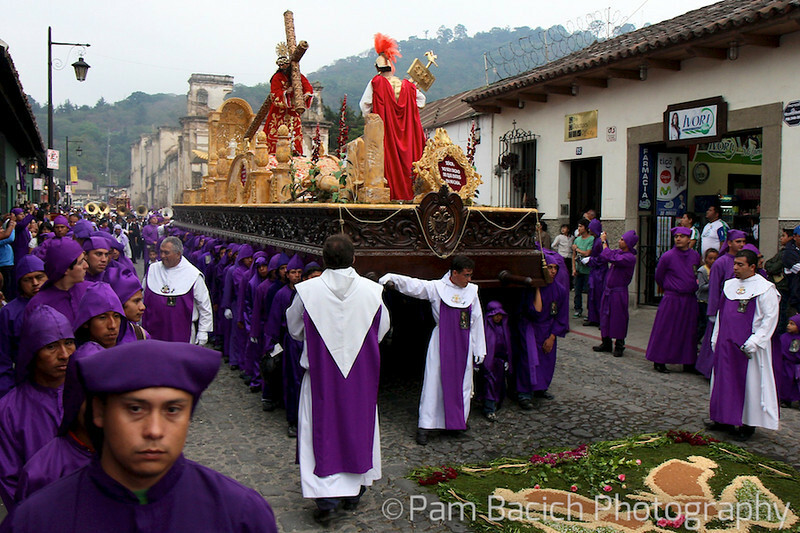 The men carrying the Jesus statue are the first to walk across the carpets of sawdust, flowers, leaves and seeds. 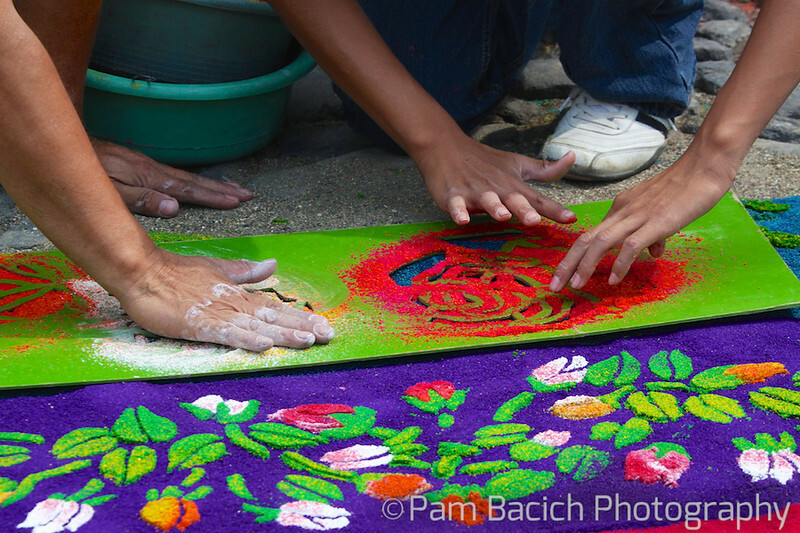 Many of the carpets are made from colored sawdust. The details are amazing. 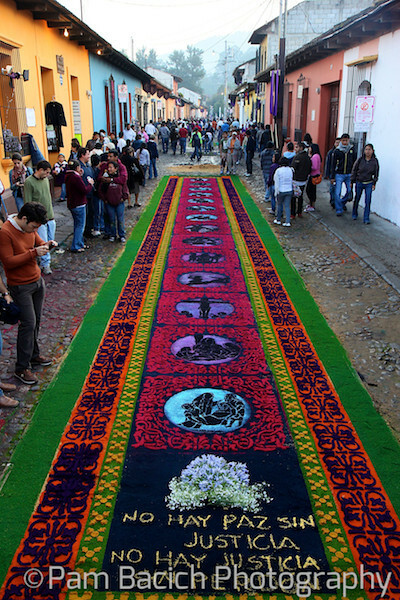 The elaborate carpets are on every street proceeding the procession. 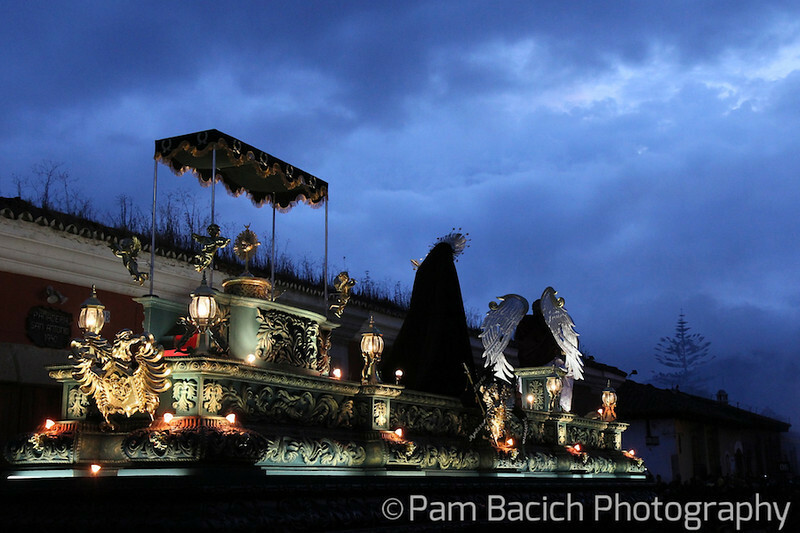 The parades go on day and night. 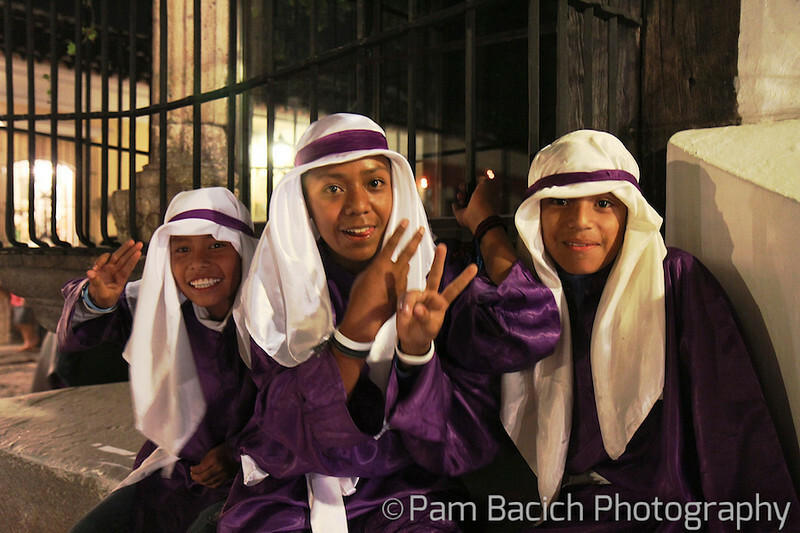 These young men are waiting for their next rotation into the procession. 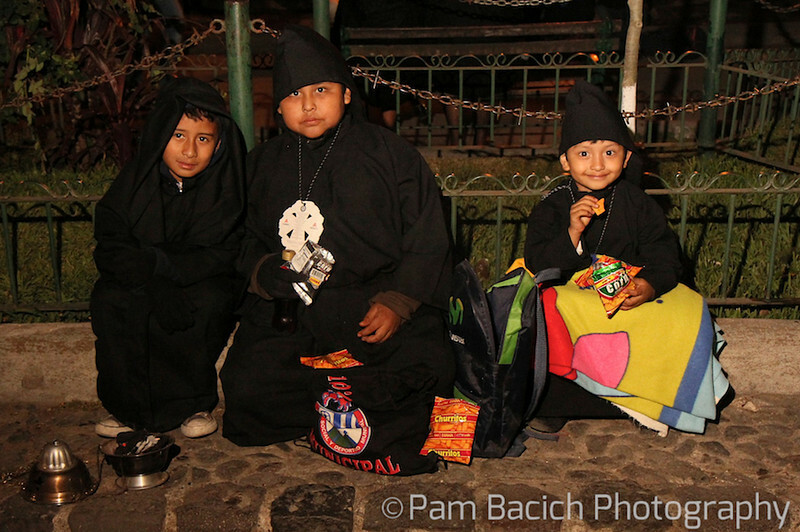 These three young teens are enjoying a break before their next turn in the procession. 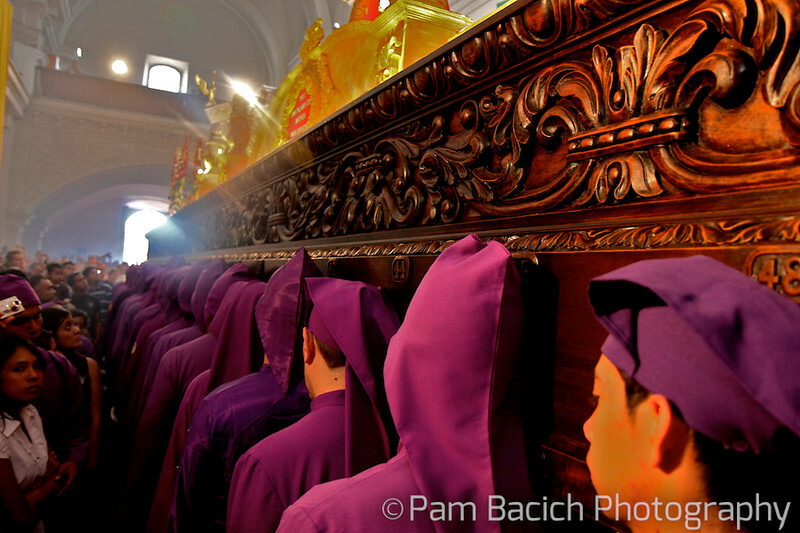 It is an honor to be part of Semana Santa. There are many examples of fathers introducing their sons to the tradition. 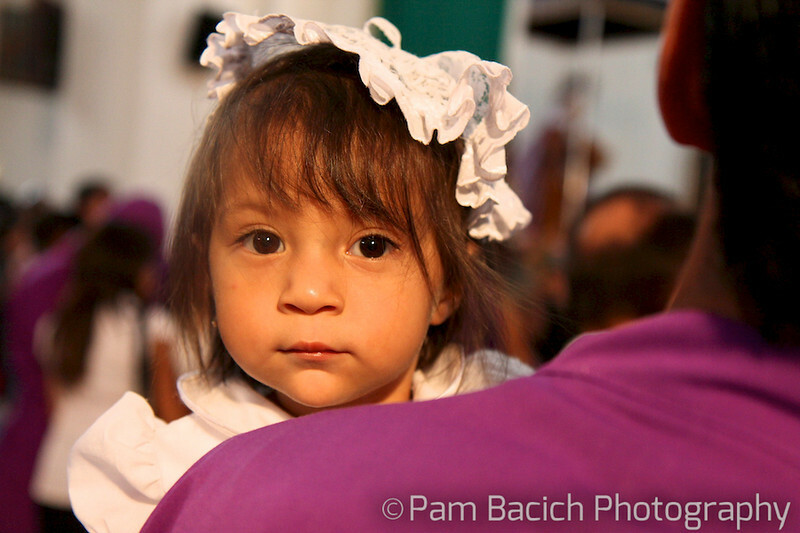 This adorable little girl was on her best behavior in the church as her father waited for his turn in the procession. 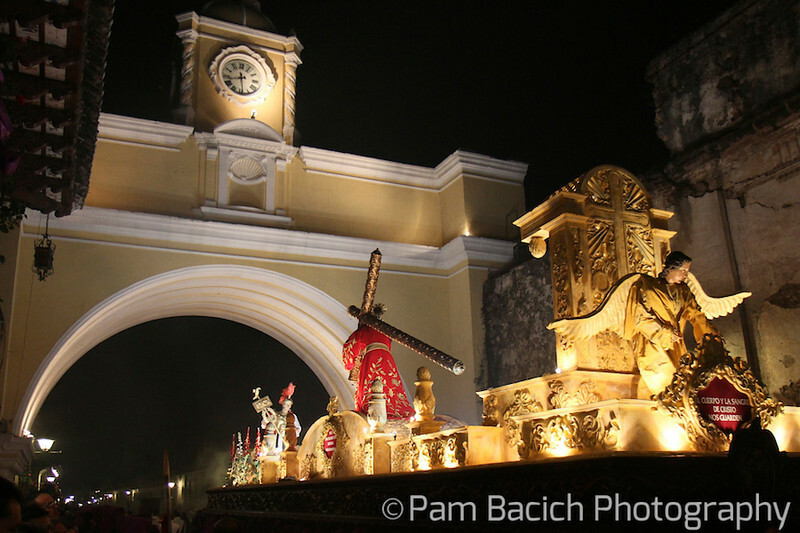 The processions wind through Antiqua throughout the night. The floats look like giant ships as they pass each corner. They light up the night and can be seen from blocks away. The women carry a smaller float that follows about a block behind the men. The weight of the float and the weight of the responsibility are very visible. One woman I watched was crying so hard, she could hardly walk. 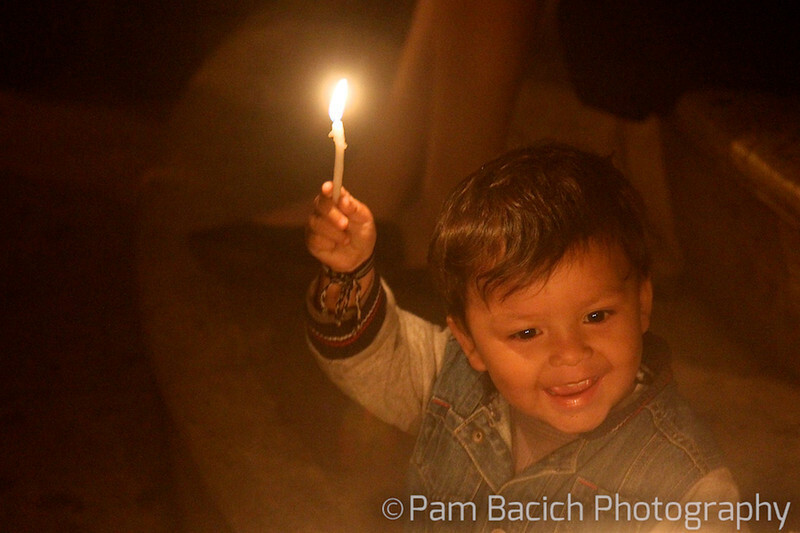 Day and night, the streets are lined with participants and enthusiastic crowds with viewers of all ages. 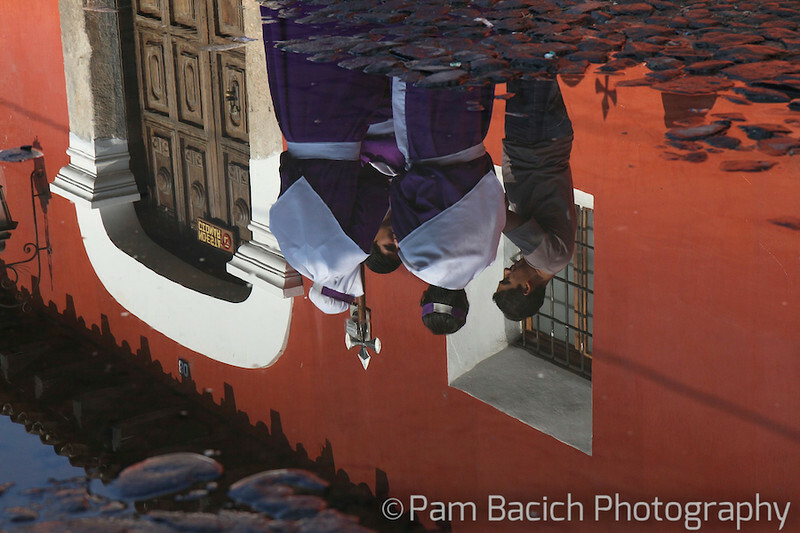 On the last night of the processions, the parade stops in front of the Cathedral. 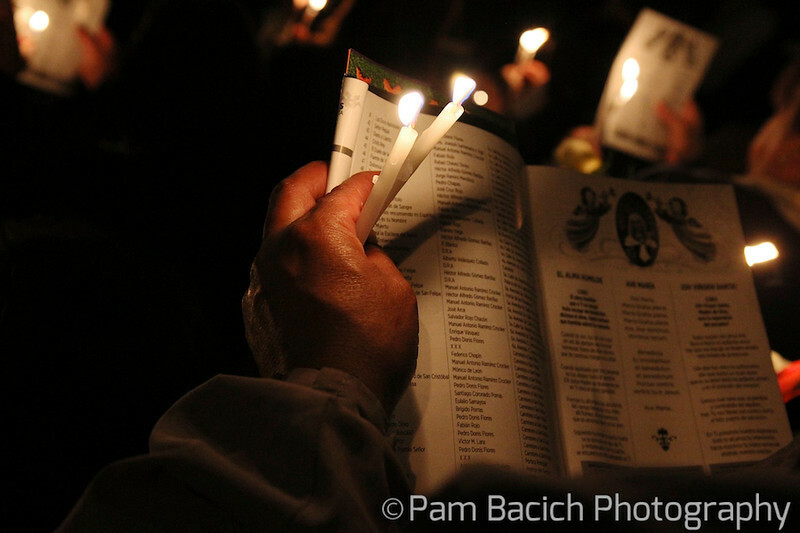 A large crowd gathers with candles. There are drums and a band pounding a profoundly sorrowful tune. Everyone joins in the song. The candles, music and song create a powerful, spiritual moment.